Bookshelf for Windows XP - a handy program that allows you to read and catalog e-books. The application works with many well-known text formats. Using the built-in tools, you can customize the most comfortable reading conditions: two-page or single-page view, font size, line spacing, interface design. Page space is not cluttered with technical information, allowing you to enjoy reading. The program has a catalog system designed in the style of a bookshelf that allows you to return to read works at any time. 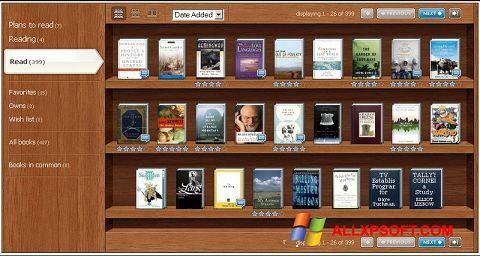 You can free download Bookshelf official latest version for Windows XP in English.